The hypochondroplasia is simply genetic or inherited form of short stature also known as dwarfism caused by problem of bone development and growth. There are several underlying causes of short stature (dwarfism) and they include: metabolic problem, hormone imbalances as well as bone growth. This condition is a popular form of short stature and it is in the class of dwarfism generally known as skeletal dysplasia or chrondrodystronphy. Also, the entire dysplasia cases are known to be as a result of bone growth retardation or deformity. The skeletal dysplasia is of more than 100 different types. It is defined as autosomal dominant mutation with the effect resulting to short stature. The short stature usually comes disproportionately with very short legs, arms, but just with normal size of the head. This condition is not often diagnosed properly in children when they are between the ages of 1 to 6 years that made the condition difficult to be corrected later on. Those with this condition usually have short stature that is disproportionate with average height between 51 to 57 inches or 130 cm to 145 cm. You should suspect this condition on your child when you discover that the child has disproportionate limbs or other stature abnormalities like short stature as well as rhizomelic limbs shortening. When there is rhizomelic with shortening of the limb, it simply means that the segments within the limb that is much more close to the body are affected severely. Those with this hypochondroplasia will experience upper arms that are shorter than the forearms as well as the upper legs. There are many factors known to contribute in causing this disorder but the major one is change or mutation in fibroblast growth receptor 3 called FGFR3. This receptor gene is found on chromosome 4 located on the short arm. The instruction needed for receptor formation is provided by the FGFR3. All the cells in human body has membrane which is the outer layer saving as the filter. This cell membrane is responsible for filtering substances transported inside and outside of cell . 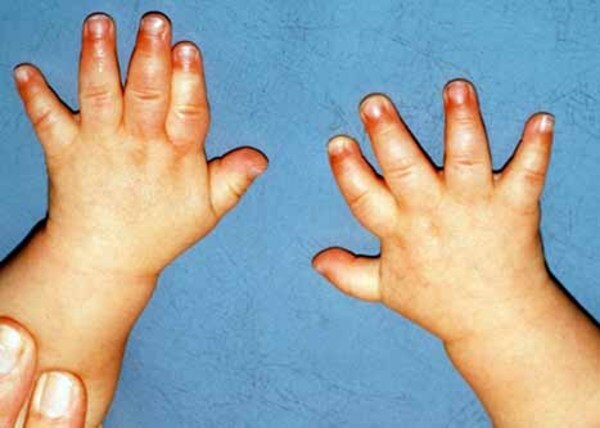 In fact, about 70% of hypochondroplasia are known to be caused by FGFR3 gene mutation. Are there possible treatments to hypochondroplasia? Can dwarfism be ever treated? These are among the questions asked by so many people when they hear of this disorder that normally lead to short stature. The simple truth you need to know is that there is no cure to this condition due to the fact that the cases vary greatly. There is no really medical management for this condition for all cases but only individual whose case is severe will need medical attention. There is need for proper monitoring of body weight, height as well as circumference of head for children with this condition. The result gotten from the regular monitoring of body sizes should be plotted on growth curve so it can serve as guide.